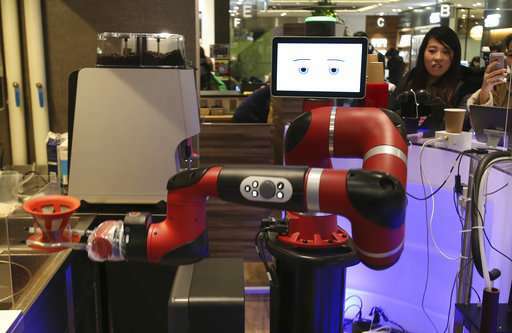 The robot named Sawyer debuted this week at Henna Cafe in Tokyo's downtown business and shopping district of Shibuya. The shop's name in Japanese means "strange cafe." "Would you care for a delicious coffee?" the barista, with a screen showing a pair of cartoon eyes, asks in a flat tone. "I can make one better than human beings around here." "An essential point is to increase productivity," said Masataka Tamaki, general manager of corporate planning at H.I.S. 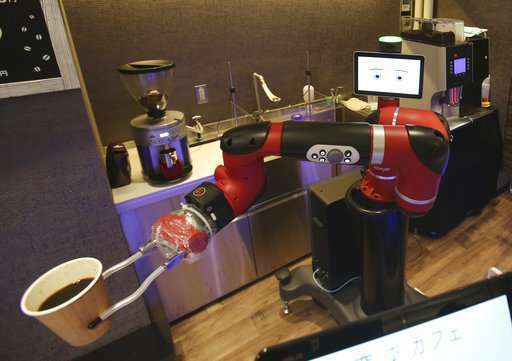 He said only one person needs to oversee the robot cafe, compared to several people needed at a regular coffee shop, so it can serve better quality coffee at a reasonable price. Tamaki says it's not just about efficiency. 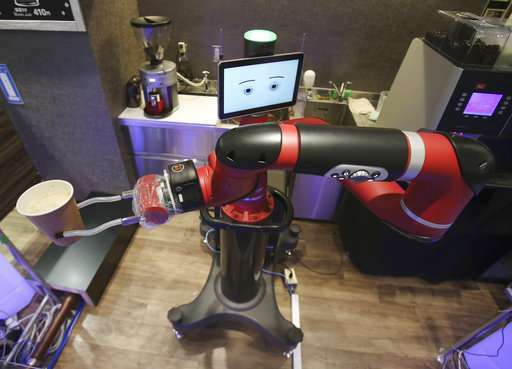 "We want the robot to entertain customers so it's not like buying coffee at a vending machine," he said. "It's quite rich, and tastes very good," Yamamoto said, as he took a sip. 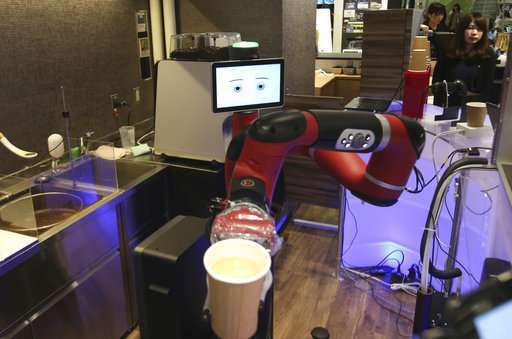 "You can get machine-made coffee at convenience stores, too, and it's actually good. But here, I had great fun." 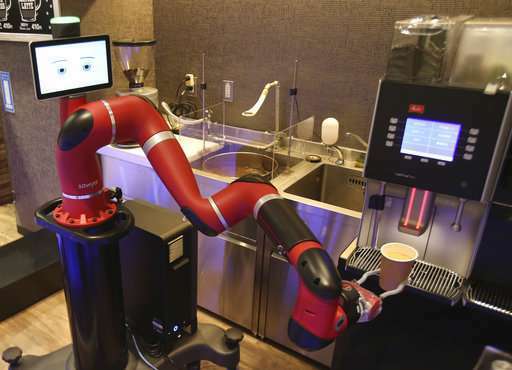 "Robot barista", thus a coffee machine with an arm for delivery. Not very impressive to be honest.